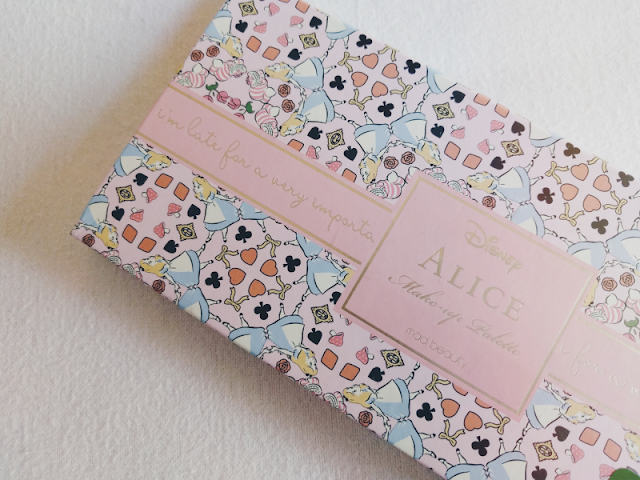 The first shop we headed to was Boots as I was after the gorgeous Disney Alice In Wonderland beauty collection that had pretty much sold out online on Christmas Day! 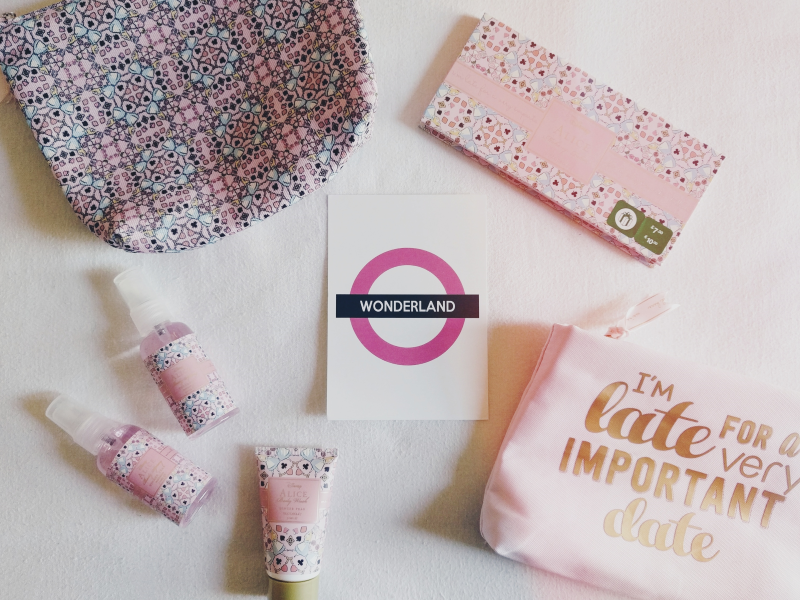 Luckily the whole collection was still available in store so I picked up the washbag set (£6), mist & cosmetic bag set (£5) and the make up palette (£3.50) which were all half price! First of all, how gosh darn pretty is that packaging? I'm obsessed with the little Alices and Cheshire Cats! I mainly bought the bag sets to use the gorgeous bags for travelling but I was also pleasantly surprised by the makeup palette! I used some of the eyeshadows for our meal out on Boxing Day and they lasted for hours! I'm looking forward to trying out some other combinations with the different shades. Also from Boots I picked up this huge makeup palette by Technic. 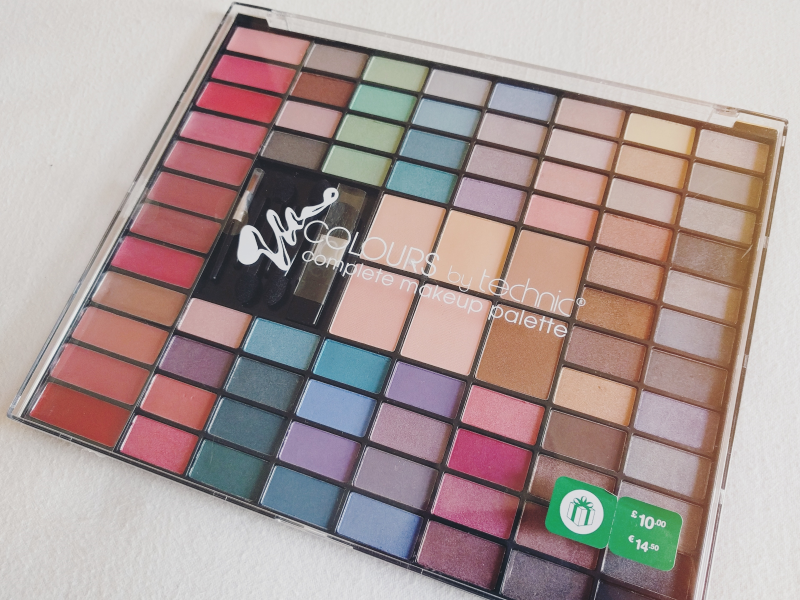 I've just recently started getting into eyeshadow so I thought for only a fiver for 64 eyeshadows, this one should keep me occupied for a while! I also knew that we had to pay a visit to Lush for their 50% off sale! We had to queue to get in the shop for about 30 minutes but this was more than worth it to get some festive Lush goodies! 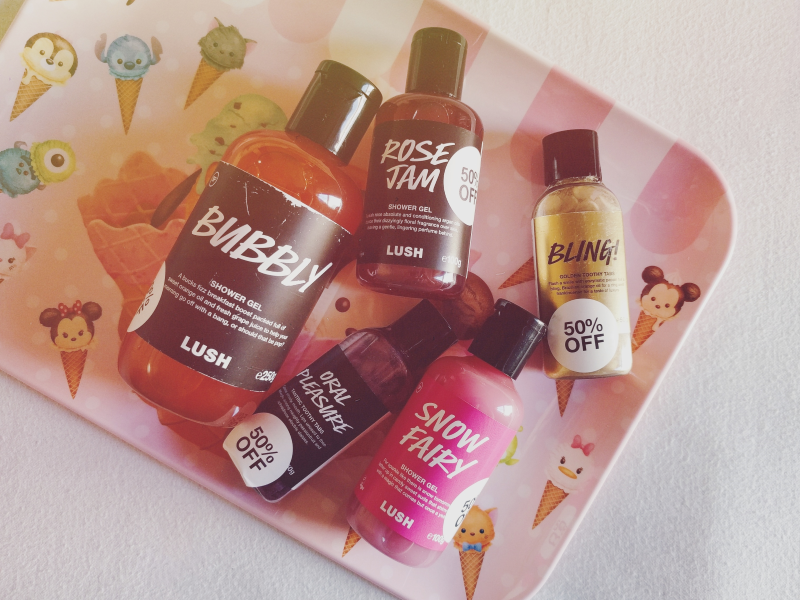 I'm not the biggest Snow Fairy fan anymore but I had to pick up a little bottle to keep me going until next year for when I fancy a sweet fix (£1.98) and I also chose a bottle each the of Rose Jam (£2.48) and Bubbly (£4.98) shower gels. I've not actually tried these two before but from a quick sniff I can definitely see myself investing in some bigger bottles of these next year - they smell delicious! They also had a few non-seasonal products on 50% off so I bought two different types of their toothy tabs - Oral Pleasasure and Bling! (£2.98 each) as I've been wanting to try these for ages. 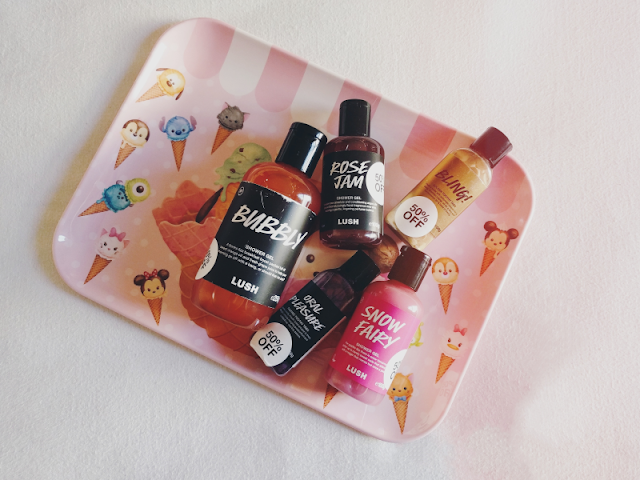 You can use these little tabs as an alternative to toothpaste so as long as I can get along with the flavours, I thought these would be perfect for travelling! Did you brave your local shops for Boxing Day or did you try your luck online? What goodies did you get?